The heart of India, MP, is firmly established on Earth’s landmark and culinary heritage map for over two millennia. 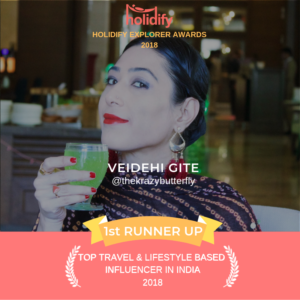 Drawing inspiration from its antiquated-traditions and outmoded-culture, Madhya Pradesh, takes pride in preserving its authentic foregone flavors. Although weaved into long-lost majestic culinary stories, these flavorings are now the recherché of few upmarket kitchens. It must take more than just manifold-offerings to enkindle the unique flavors of Madhya Pradesh. And so, we were shown by these 5 Executive Chefs who have contributed a great deal in marking MP on India’s gastronomy calendar. Spewing regal, global, and classic remakes of earthen specialties, these chefs take the culinary challenge on a whole new level. Let’s take a look at Madhya Pradesh’s most decorated chefs and why they must be the crème de la crème. 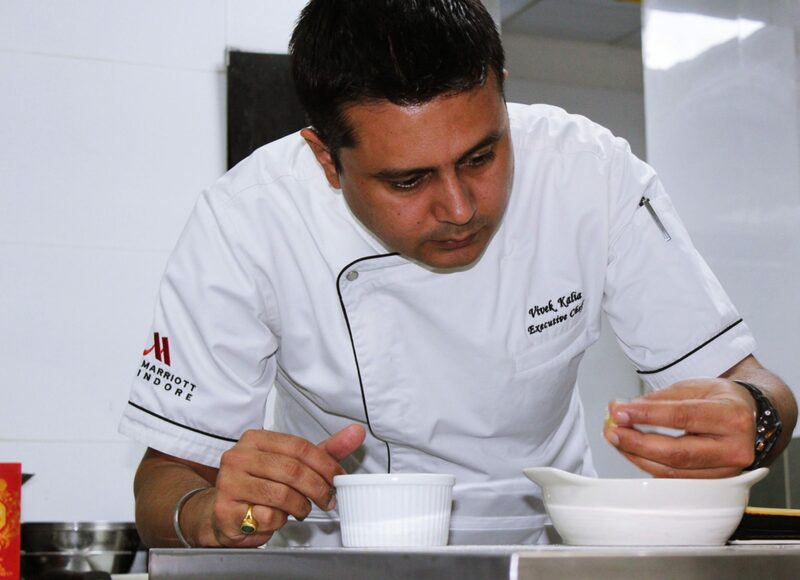 Vivek Kalia is one of the most praised faces among Taj and Marriott’s top Chefs in India. 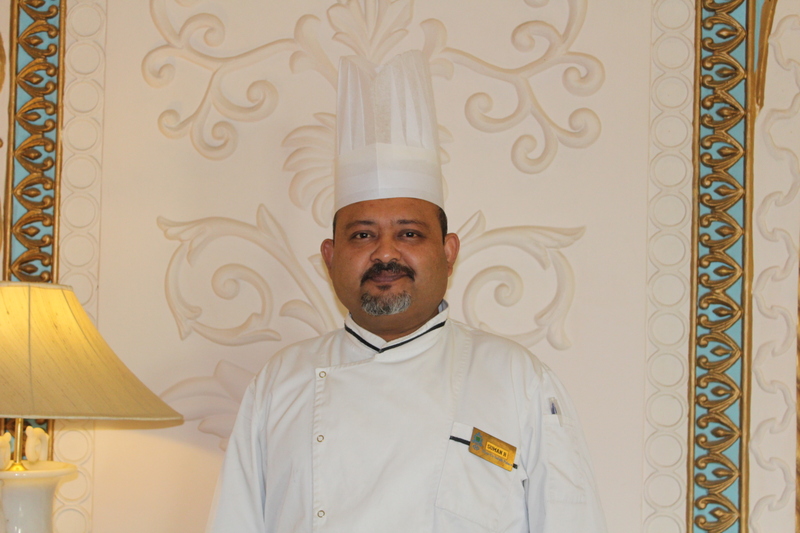 With his ongoing stint with Marriott Indore, he has also become the celebrated culinary expert of Madhya Pradesh. By hunting and engaging long-lost recipes of MP, Chef Kalia aspires to roll out a collaborative street dining experience at Indore Marriott, immersing in a luxe dining set up. We bet, now you don’t have to go too far to enjoy Indore’s succulent, delicacies! Seamlessly blending local flavors with world’s most obvious-favorites, Chef Kalia thoroughly engaged us with his gastronomy expedition. Which, introduced us to a plate of Shahi Rasmalai and Parda Biryani, dipped in the essence of Madhya Pradesh’s kingly heritage. 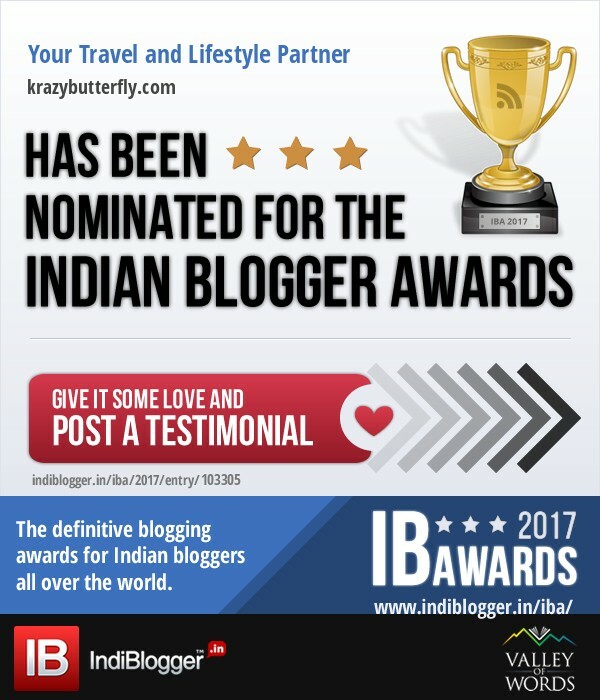 Bhopal is a collection of Royal stories! And the tales of its culinary thoroughfare go beyond regal recipes secretly locked away in the kitchens of former Palaces. For that reason, it was far more thrilling to engage in a culinary feast designed by the Executive Chef Suman Rakhshit, who has been reigning the royal kitchen of Noor-Us-Sabah’s for over a decade. Suman Rakshit is a humble chef who has been crafting novelty recipes that best describe the grandiose of Madhya Pradesh’s capital. Presenting historical variations of authentic Mughlai to Peshawari cuisine, Chef Rakshit smashed us with the exciting flagship dishes such as the Nalli Nihari, Kacche Gosht Ke Kebab, Mughlai Biryani, and the original Shahi Toast. 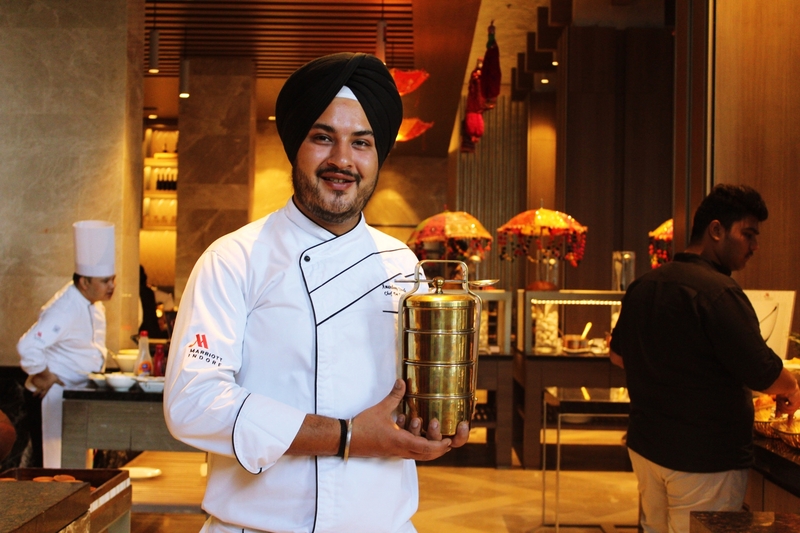 Amandeep Singh, the former Sous Chef of Chennai’s Raintree Hotels, is now portraying his culinary expertise in Indore. This new ‘Chef De Cuisine’ of Indore kitchen has managed to collect an astounding number of culinary flavors that Madhya Pradesh holds in its food basket. Reviving ancient culinary influences of MP’s neighboring states, Chef Singh dreams to create as many food festivals as he can, for Indore to divulge in a historically rich feast. And, we could tell that this avid traveler, sure knows how to turn nostalgia into a real-world dream. We were floored by the authentic MP-style Dal, Baati, Churma, and Kadhi, while, the Aam Pana nailed us on the soul. Recreating royal recipes is no new concept to MP, the state of, veritable antiquities. However, only a few chefs get it right! With 14 years of culinary experience which includes working with Michelin Chef Darren Rowe, in Birmingham, Mukul Jha is now wielding a culinary history at Radisson’s Indiya Oye. Putting, cutting-edge cooking techniques to test, Chef Jha has devised an all-new royal menu at Indiya Oye for everyone to get bewildered by the richness of the original textures of the royal favorites. In particular, Murgh Sweta, Bhuna Gosht ka Sev, Triveni Khumb ki Gujiya, and Hare Mutter ka Dulma are the notable superstars worth giving a shot. 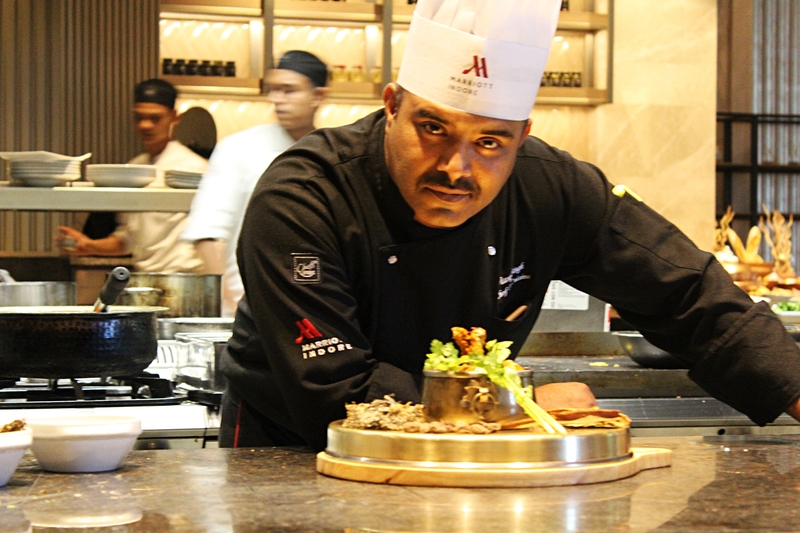 Chef Anuj Singh will soon be seen crafting the authentic Indian culinary designs at Marriott’s Indian Restaurant in Indore. This former Taj Chef is the expert of Indian Bouquet Garni, the very sound of which tickles our nostrils. And a slight whiff of that spicy aroma swirled in Indian spices, is enough to build an appetite. Chef Singh’s impressive cooking style was bought to our attention, after, we tasted the Royal Hyderabadi Chicken Lagaan, slathered in thick cashew paste and smeared with local spices. At Indian Restaurant, Chef Singh will craft authentic Lucknawi and Awadhi cuisine, infused with a touch of MP. Not Everyone Will See Christmas This Year!